A spy from an intelligence agency that is supporting the US-led coalition fighting Islamic State has been arrested in Turkey on suspicion of helping three British schoolgirls travel to Syria to join the jihadist group. Turkish Foreign Minister Mehmet Cavusoglu did not disclose the nationality of the intelligence agent, but said he was not from the US or an EU country, or a citizen of the nation he is working for. Shamima Begum, Amira Abase, both 15, and Kadiza Sultana, 16, are believed to be in Islamic State-controlled territory after disappearing from the UK last month. The agent who assisted the girls has been detained, he added. Cavusoglu told channel A Haber TV that the spy was working for a country that is part of the US-led coalition against Islamic State. He said British Foreign Minister Philip Hammond had been informed of the arrest. 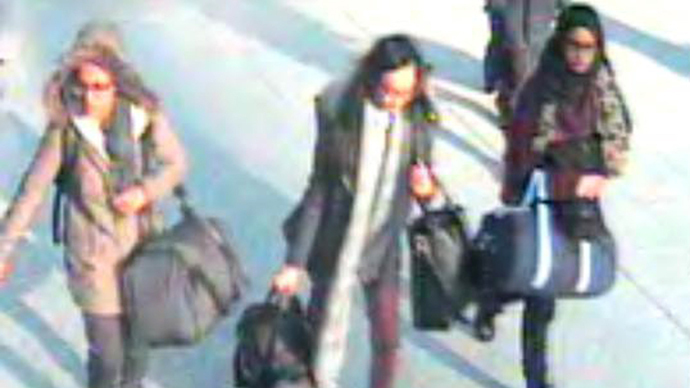 The schoolgirls, who attended Bethnal Green Academy in London, disappeared after boarding a plane from Gatwick Airport to Turkey on February 17. The teenagers, “lured by ISIS propaganda,” are now believed to be in the extremist stronghold of Raqqa. Families of the girls appeared before MPs on Tuesday, where they expressed their frustration at the Metropolitan Police for not doing enough to prevent their disappearance. Relatives told the Home Affairs Select Committee they would have done more to monitor the girls had they known one of their classmates fled to Syria last December. Although London’s Metropolitan Police sent letters to the families with information about the first schoolgirl who fled to ISIS, they sent them via the girls at their school. Family members claimed they did not see the letters until after the teenagers disappeared. Solicitor Tasnime Akunjee, who represents the families, told the committee they were considering the possibility the letters may have prompted them to step up their plans, or create them in the first place. “I strongly disagree that the letter should be given to 15-year-old young girls because the word police by itself, terrorism, counter-terrorism ... is a heavy burden. We feel that we, as a parent, have been neglected,” he said. “The letter terrified my daughter,” he said.